Starting the weekend before the Thanksgiving holiday, the City of Spokane launched a test period for its new, pay-by-phone parking meter system at a section of downtown parking spaces. 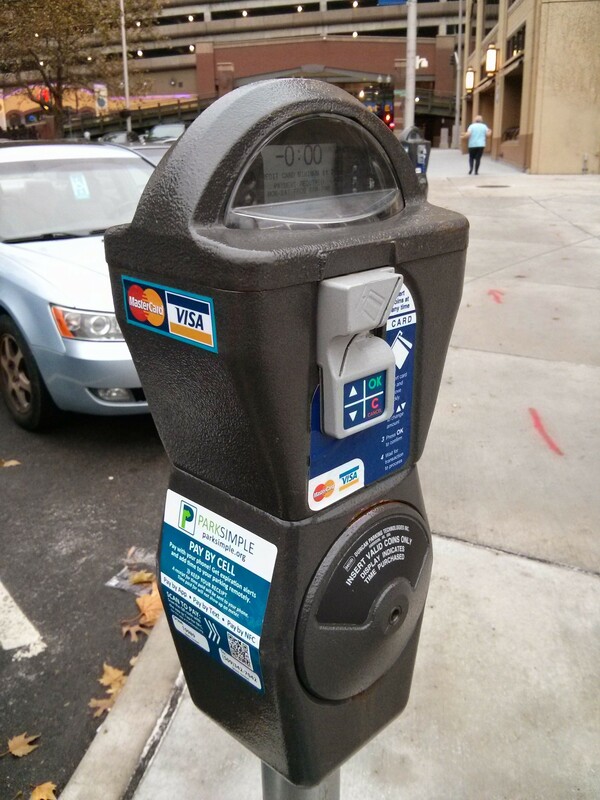 Forty-one "smart" meters on Post Street between City Hall and Riverfront Park offer the pay-by-phone option. We tested it out last week to see how it works. First, I would advise those interested in using the system to download the app for their Android or iPhone before heading out, and to enter the personal information required. 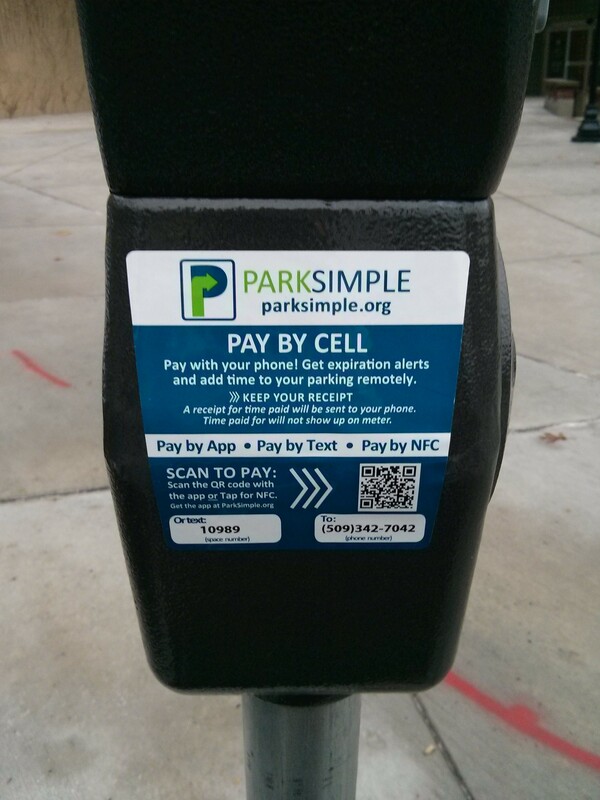 The city is using the Quick Pay app, which is linked on its parking services page. Or, find it by searching in the apps store on your phone. It's free to install and use. After installing, users are prompted to create an account, enter their vehicle's license plate number and a brief description of their car, along with a source of payment from a debit/credit card. 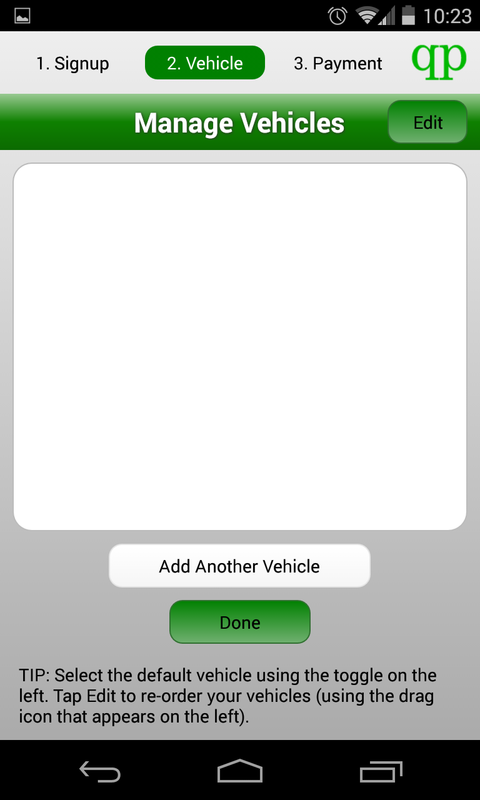 Users who drive multiple vehicles can also easily add those to their account. I set out downtown to see how the app worked. For someone who rarely has any change to plug meters, I've embraced the card-friendly meters around downtown installed last fall. As someone who's also encountered issues with these before (like a card not reading when it's rained, or just not working at all, forcing me to move and find another meter) having a third backup plan to avoid being ticketed is awesome. After finding a spot right in front of City Hall, I launched the app and attempted to scan the QR code on the meter label (photo below) that explains how to use the new system. It didn't work. Neither did the NFC (near-field communication) technology, which the label indicated was another way to tell the app what spot you're parking in. The glitch (it worked later during a second attempt) seemed to be that the QR code was failing to redirect to the correct page within the app. 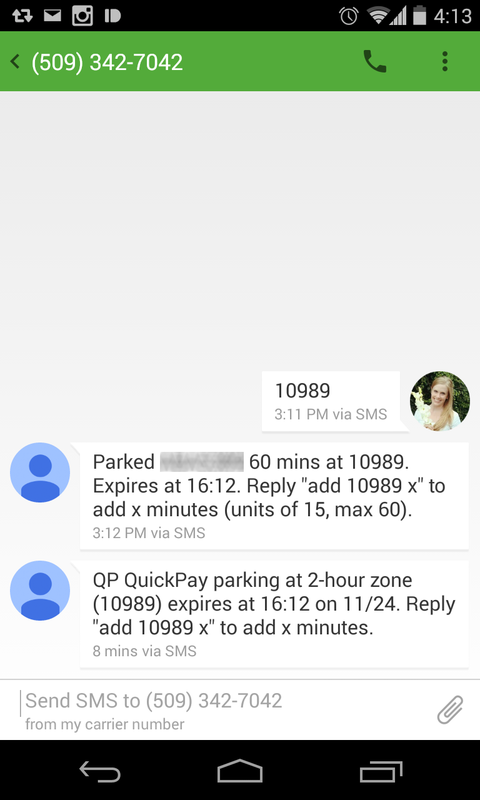 So, I tried the third option — texting the parking stall code (10989) to the number listed on the meter (see right screenshot). Finally, it worked. Then I received a text message confirming that I'd just paid for an hour of parking, with the option to add 15 minutes of time via text, for up to one additional hour than I'd paid for. The meter I'd parked at had a 2 hour limit, which is still enforced even though users can add more time to meters remotely, says city spokeswoman Julie Happy. However, if you are at the meter for the two full hours of time, she says the system does let users to pay for a final, 15-minute grace period before they must leave that particular meter. Immediately after adding time to the meter I noticed the time did not show up on the meter's clock. This system won't show the time you've just added using your phone, but Happy says parking attendants will still know you've paid for the time after they run your plate number in their database. "I parked in front of City Hall and watched [an attendant] pull up my car and then he walked away," she adds of her experience testing the system. The trial period for the pay-by-phone system is expected to run for the next several weeks, and Happy says if all goes well, sometime in early 2015 the city will begin rolling out the option to the rest of the 3,000 smart meters around downtown. If users encounter problems using the new payment method, Happy encourages them to email her (jhappy@spokanecity.org), or contact the city's parking services department (232-8836).